The Hotel Hangkhim provides 24-hour room service and free breakfast. This Gangtok hotel is located at 45 km from the Darjeeling Railway Station and at 84 km from the Hanuman Tok. This 5-storied hotel has 14 AC and non-AC rooms. Each room has an attached bathroom and is equipped with a color TV, a telephone, on-demand Wi-Fi, and an electric kettle. 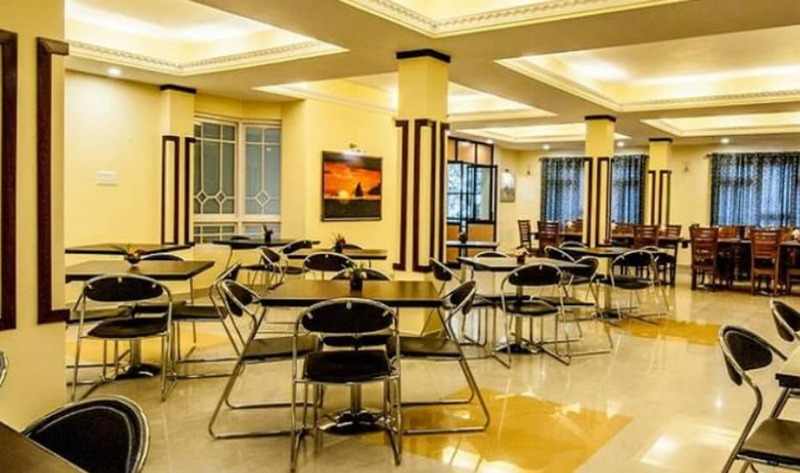 This business hotel in Gangtok operates a reception desk and has a large dinning area. Parking, Airport Transportation, Breakfast Services, Doctor on Call, Room Service, Security Guard, Restaurant, Coffee Shop/Cafe, Business Facilities, Travel Counter. Toothbrush/Razor on Request, Attached Bathroom, Bottled Water in Room, Air Conditioning Room, Wakeup Calls, Iron/Ironing Board, Moisturiser, House Keeping, H/C Water, Cable/Satellite TV. User reviews for "The Hangkhim Hotel Gangtok"